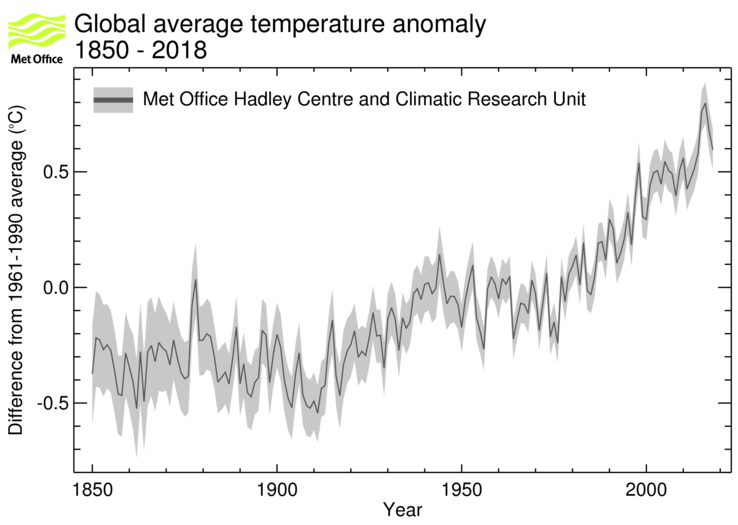 The black line shows the global annual average near-surface temperature anomalies since 1850 from the HadCRUT4 dataset (data here in this format). The grey area shows the 95% confidence range on the annual averages. The orange line shows global annual average temperature anomalies from the GISTEMP data set produced by the Goddard Institute of Space Studies at NASA (GISTEMP data external link). 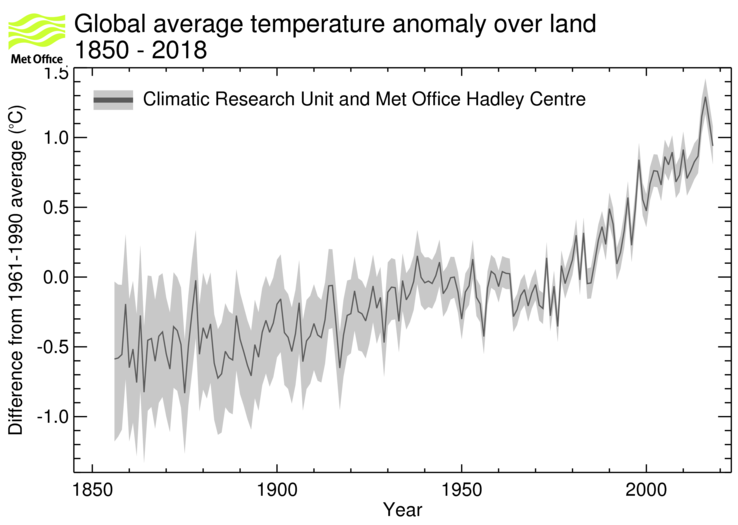 The blue line shows global annual average temperature anomalies from the National Climatic Data Center's NOAAGlobalTemp data set (data external link). Anomalies are defined relative to the 1961-1990 average. The black line shows the global annual average near-surface temperature anomalies since 1850 from the HadCRUT4 dataset (data here in this format). The grey area shows the 95% confidence range on the annual averages. Anomalies are defined relative to the 1961-1990 average. The black line shows the global annual average land-surface air temperature anomalies since 1856 from the CRUTEM4 dataset (data here in this format). The grey area shows the 95% confidence range on the annual averages. 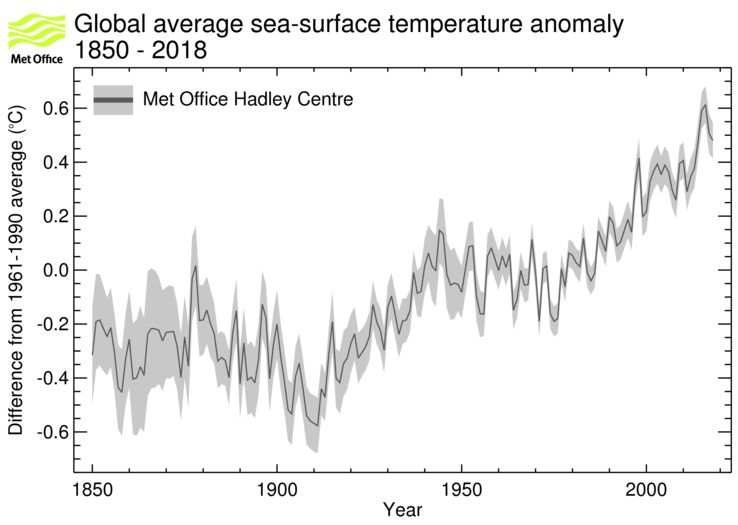 The black line shows the global annual average sea-surface temperature anomalies since 1850 from the HadSST3 dataset (data here in this format). The grey area shows the 95% confidence range on the annual averages.